When it comes to packing your travel beauty essentials, no matter how many times you write a checklist, you always forget something that you need. Remembering that everything has to be under 100ml for the plane, what you actually need on a plane and what you’ll need whilst you’re there can be a bit of a headache. So this list of essentials is designed to save you time and precious space so you can squeeze that extra pair of shoes into your suitcase. 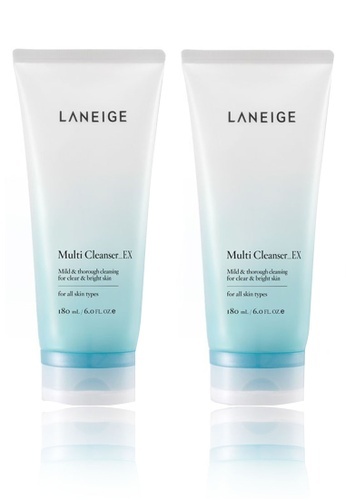 Your hotel may have basic toiletries in the bathroom but it definitely won’t have your favourite face cleanser. And just because you’re travelling doesn’t mean you should skip your skincare routine — if anything, you should be even more diligent with it. A gentle cleanser is crucial for washing off all the grime you’ve accumulated from a day of sightseeing. Bracing yourself for a long-haul flight? Save yourself from tired, dry skin by first removing your makeup with a wet wipe, and then patting on some nourishing face oil to protect your skin against the drying cabin air. (Topical oils are a good option. Just one drop is enough for the entire face.) Then, if you are extra diligent, follow up with your regular moisturiser. You knew this one was coming. One of the most essential items you need anywhere you go — yes, even in winter — sunscreen gives your skin the protection it needs. Slather it on before applying any makeup. Concealer is a must-have for any self-respecting beauty junkie on a flight where she’s not expecting to get much sleep. It works like a brightening balm by disguising the dull dark circles around your eyes, and simultaneously creates the illusion of flawless bare skin. Simply dot the product in a U-shaped curve under your eyes and then blend outwards. A dewy finish will leave you looking refreshed even after you step off the plane. Instead of plain old lipstick, reach for a double-duty stick of tinted lip balm that moisturises and protects your lips as well. Added SPF means that your lips won’t chap and peel after a day out in the cold or an afternoon in the sun. What are some of YOUR beauty essentials for a holiday? Share them in the Comments section below! Older PostIs Fashion An Advocate for Social Causes?